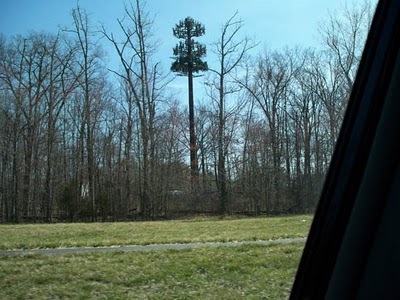 You have all seen cell phone towers, those large, looming, ugly things reaching for the sky. 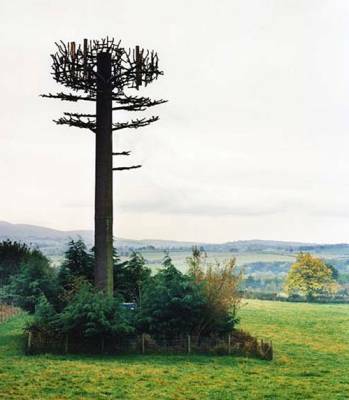 Now technology may make cell phone tower obsolete! NEW YORK (CNNMoney) -- As mobile data usage skyrockets, wireless companies are spending billions each year to maximize capacity, and consumers end up footing the cost in the form of higher cell phone bills. 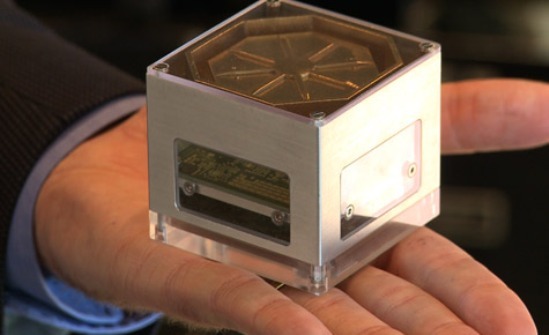 But a cube that fits in the palm of your hand could help solve that problem. 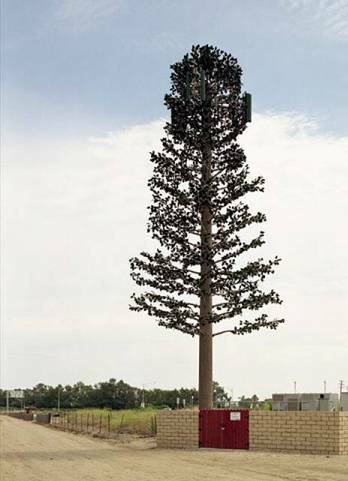 It's called lightRadio, a Rubik's cube-sized device made by Alcatel-Lucent (ALU) that takes all of the components of a cell phone tower and compresses them down into a 2.3-inch block. 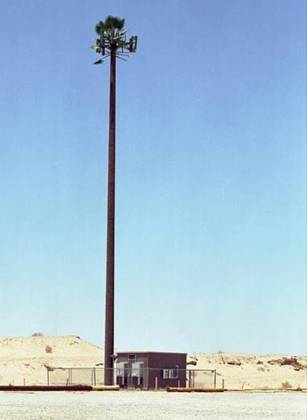 Unlike today's cell towers and antennas, which are large, inefficient and expensive to maintain, lightRadio is tiny, capacious and power-sipping. 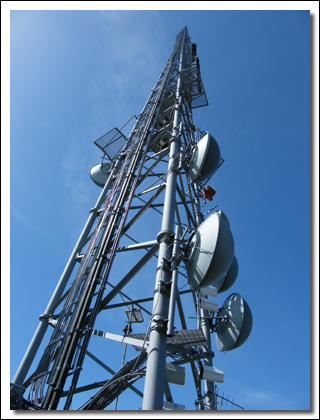 When conceiving of lightRadio, Alcatel-Lucent's engineers stripped out all the heavy power equipment that controls modern cell towers, and moved them to centralized stations. That allows the lightRadio cubes to be made small enough to be deployed virtually anywhere and practically inconspicuously: Atop bus station awnings, on the side of buildings or on lamp posts. Their small size and centralized operation lets wireless companies control the cubes virtually. 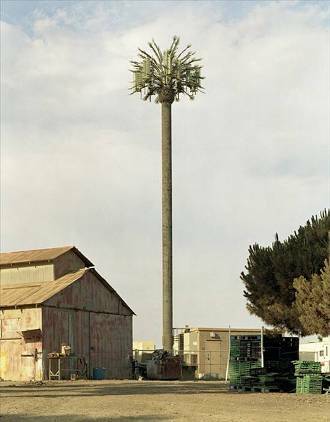 That makes the antennas up to 30% more efficient than current cell towers. The lightRadio units also contain multi-generational antennas that can relay 2G, 3G and 4G network signals all from the same cube. That cuts down on interference and doubles the number of bits that can be sent through the air. 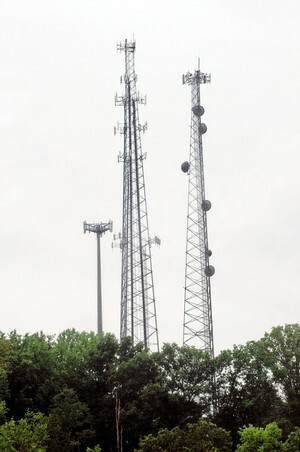 Today's cell towers, by contrast, send power in all different directions, most of which is lost, since it doesn't reach anyone's particular devices. 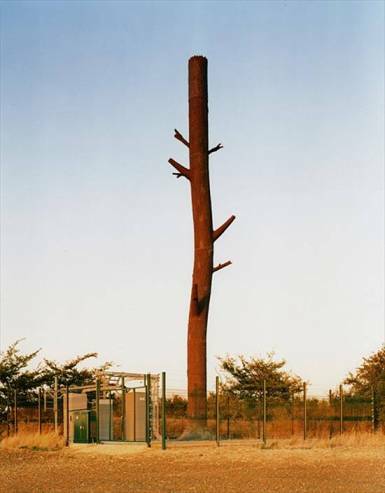 They're inefficient in other ways as well: Roughly half of the power from cell towers' base stations is lost before it makes its way up to the antennas at the top of the tower. 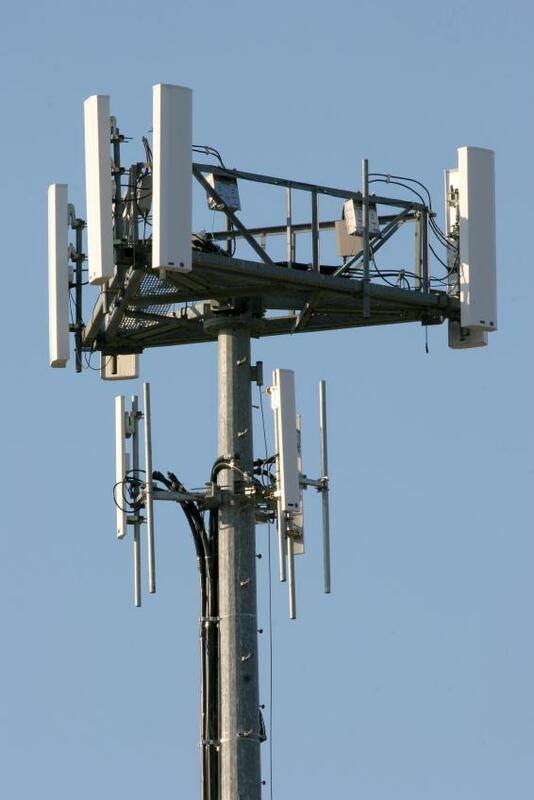 And they have separate antennas for 2G, 3G and 4G networks, causing interference problems. Now the "disguised" type. 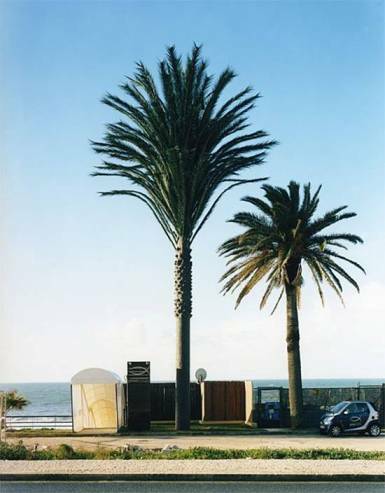 Can you tell which ones are not real trees? Pretty funny! 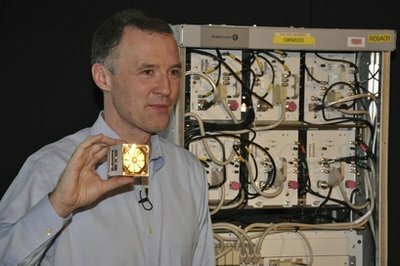 French mobile telephone infrastructure manufacturer Alcatel-Lucent unveiled technology that shrinks a cell tower to a box the size of a Rubik’s cube. 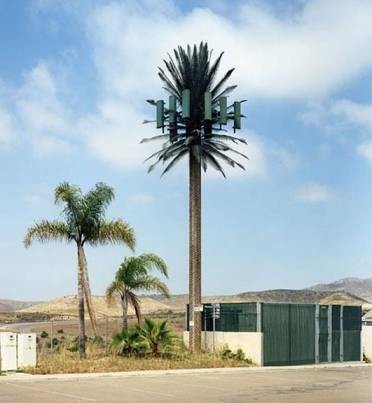 NEW YORK – As cell phones have spread, so have large cell towers — those unsightly stalks of steel topped by transmitters and other electronics that sprouted across the country over the last decade. Now the wireless industry is planning a future without them, or at least without many more of them. Instead, it's looking at much smaller antennas, some tiny enough to hold in a hand. These could be placed on lampposts, utility poles and buildings — virtually anywhere with electrical and network connections. 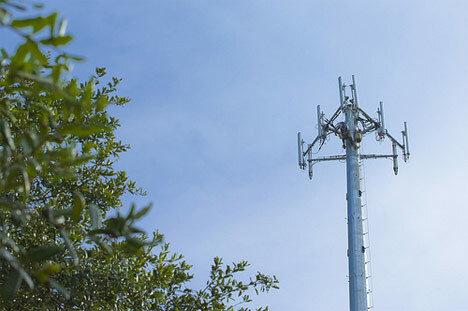 Some big names in the wireless world are set to demonstrate "small cell" technologies at the Mobile World Congress, the world's largest cell phone trade show, which was held in February 2011 in Barcelona, Spain.